Quality Elevator Products is pleased to announce that we are the exclusive North American distributor for S.B. SRL Motori Eletrrici of Milan, Italy. S.B. was established in 1972, last year they manufactured over 34,000 submersible motors for elevators. These motors have been used in North America by companies that import from Europe. S.B. Motors are directly interchangeable with the U.S. Electric, A.O. Smith and Imperial Electric Motors. 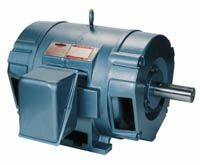 Our inventory of motors range from 10-1/2 HP to 70 HP. 80 HP and 100 HP motors are also available. We have been successfully using these motors on our pumping units since early September 2002. S.B. Motors are also available from C.E.D. Long Beach, California. 3600 RPM, rated for 80 or 120 starts per hour, 200V, 230/460V, 575V. Imperial Electric motors - IN STOCK. 1800 RPM, rated for 80 or 120 starts per hour, ball bearing design, 200V, 230/460V. 3600 RPM motors also available.